Sat, Apr 13, 2019, 08:13 pm SL Time, ColomboPage News Desk, Sri Lanka. 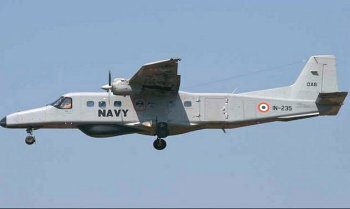 Apr 13, Colombo: As part of the effort of building closer defense ties with Sri Lanka, India is likely to transfer a Dornier reconnaissance aircraft to the island nation, a Times Now report said. According to the report, India is playing to catch-up as China is reaching out to countries in South Asia including Sri Lanka and Pakistan. High-level defense talks with Sri Lanka have got over and a military exercise between the two countries in Sri Lanka has just ended. The next one is likely to be more sophisticated, Times now said. 'Mitra Shakti-VI', the two-week long annual joint military exercise between India and Sri Lanka to build Military to Military co-operation and interoperability between the two armies was conducted in Sri Lanka from March 26 to April 8. Meanwhile, the 6th Indo - Sri Lanka Defense Dialogue, was held on April 8 in Colombo with the participation of an Indian delegation led by Indian Defense Secretary Sanjay Mitra. Although China has built the Hambantota port for Sri Lanka, the offer had first come to India and New Delhi took no decision, according to the report. Now, the Sri Lankans, keeping in mind India�s protests after Chinese submarines docked in Lankan ports, have decided to not allow any "offensive" weapons systems. There will be a "soft-power" reach out from India. A proposal to invite Sri Lankan defense personnel and their wives to Bodh Gaya and Lumbini and other parts of the Buddhist circuit is being considered. The report says India is similarly reaching out to Bangladesh, Thailand and the Maldives too. High-level defense talks will begin with Bangladesh very shortly and plans for joint, coordinated patrolling between India and Bangladesh are being worked out. A bilateral naval exercise is also likely this year. Following the sale of two Chinese submarines to Thailand, Indian Navy chief and Chairman, Chiefs of Staff Committee, Admiral Sunil Lanba, is likely to visit Thailand for discussions with senior officials. India is also reaching out to the Maldives very successfully, particularly after the recent polls. The Maldives gets a Dornier, to be used as an air ambulance.